We continue in France and this time it’s turn for wine bars. In Paris night-life is one of the biggest attractions, and if you’re looking for options to have fun in good company be sure to know some of the bars to drink good wine recommended by Time Out. Au Bon Coin: This space combines a wine bar and a restaurant, located at 18 Rue des Cloÿs. Chez Georges: This bar is a stone vaulted cellar, and it is located at 11 Rue des Cans. The Fusée: A favourite bar for young people in Paris, with a pleasant terrace that guarantees an enjoyable space, located at 168 Rue Saint-Martin. L’Entracte: This bar, located opposite to the Royal Palace, is the favourite for French comedy lovers, the exact address is 47 Rue de Montpensier. Le Connectable: It has a medieval-themed tavern decoration, and it is at 55 Rue des Archives. Au Rendez-vous des amis: This bar is located near the Place du Tertre, and it is visited by many tourists at 23 Rue Gabrielle. 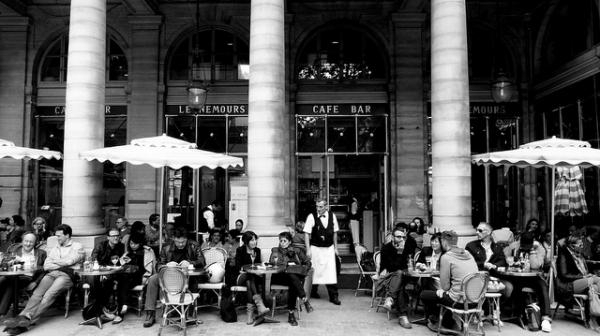 The Renaissance: This bistro is located near the Porte de Clignancourt, at 112 Rue Championnet. L’Entree des artistes: This bar is famous for its cocktails and wine, in it tourists feel at ease thanks to the obvious influence of its owner’s travels to London, Berlin and New York. It’s at 8 Rue de Crussol. Les Caves Populaires: It has a nice atmosphere and is an only wine bar that you should not miss at 22 Rue des Dames. Le leche vin: This bistro is a place you can not visit just once, its customers are regulars for a reason. 13 Rue Daval. Tierra del Fuego: The Tierra del Fuego bar is named after a place located near Antarctica, well known for Ushuaia. It is at 4-6 Rue Sainte-Marthe. 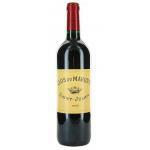 And otherwise, you can always drink a good French wine, such as the ones we recommend below. Clos du Marquis 2005: a red wine with Saint-Julien DO with the best bunches of 2005 petit verdot and merlot and 13º of alcohol strength. 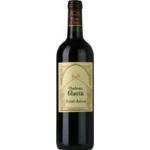 Château Gloria 2009: a red wine with Saint-Julien DO vinified with gloria from 2009.